It’ll be no great surprise to read that the rapid democratization of mobile and online technology has significantly changed how information is shared and interpreted. Today, almost anyone with a phone can voice their opinion online, making it harder to know what’s accurate. When anyone can be a source, and everyone has a point of view, how do we know what’s true? If 2017 focused on raising awareness of phony news and media manipulation, I predict that 2018 will be the year of solutions from news organizations, tech platforms, and consumers. News organizations have been given a clear call-to-action to reaffirm the value of news to their readers. Journalism’s code of ethics needs to be updated to match the realities of today’s landscape. The 24-hour news cycle and real-time digital dissemination increase pressure on reporters and editors to get news right within shorter editorial deadlines. How news organizations respond will directly affect whether they remain relevant. Their business model — and our democracy — depend on it. Next come the tech platforms that have played a big role in inadvertently spreading misinformation. They’ll be a major player next year as congressional scrutiny widens and more information is revealed about how platform distribution affected the 2016 presidential election. As an engineer and a proponent of new technology, I will be the first to say that the scale of media manipulation, which came to light last year, was a huge surprise, and engineers have been working hard to come up with maintainable solutions. Initial steps have been taken in 2017, and I predict that we’ll see bigger, more sustainable solutions toward removing bad actors. Lastly, I predict that 2018 may be the year in which readers use the power of their hive-mind to ask tough questions and hold reporters’ feet to the fire, acting as an essential stress test for good journalism. This starts with understanding how to identify credible news sources. I think people want to be effective news consumers, and they’ll take on the responsibility to become highly media literate. People don’t like being conned or lied to, but to a great extent, that’s what’s happened over the last year, particularly by disreputable sources that were amplified on social media. Media education will spread, and as purveyors of phony news continue to be exposed, more people will learn how to recognize the markers that distinguish between real and fake reporting. Once credibility is established, the next step will be for readers to differentiate between the types of media that they’re absorbing. Educated consumers will discern a news story from an opinion piece and from an advertisement. They’ll also recognize satire when they see it. With these skills available to them, readers will be equipped to understand the difference between good and bad journalism. The good news is that we raised awareness of the misinformation issue over this past year and started the hard task of fixing it. Looking to 2018, we’ll need to build on this work to create truly sustainable solutions. The responsibility is with all of us. 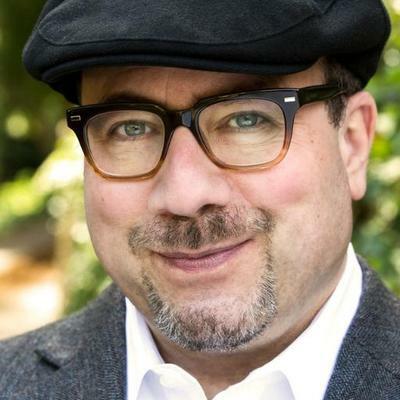 Craig Newmark is the founder of craigslist and Craig Newmark Philanthropies. Dec. 16, 2017, 10:25 p.m.